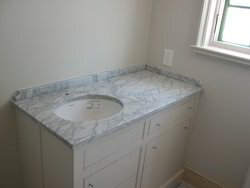 Prominent & Leading Exporter from Jaipur, we offer vanity counter top. Size Available in Various size. We Yashoda Group Jaipur, Rajasthan, India based leading manufacturing unit of granite and marbles products like Vanity Counter Top .